Time is up. Really. Halloween is now only a day away and dad needs a costume for a company party and to take the kids out trick-or-treating. You want something easy and inexpensive but still fun. We’ve got you! 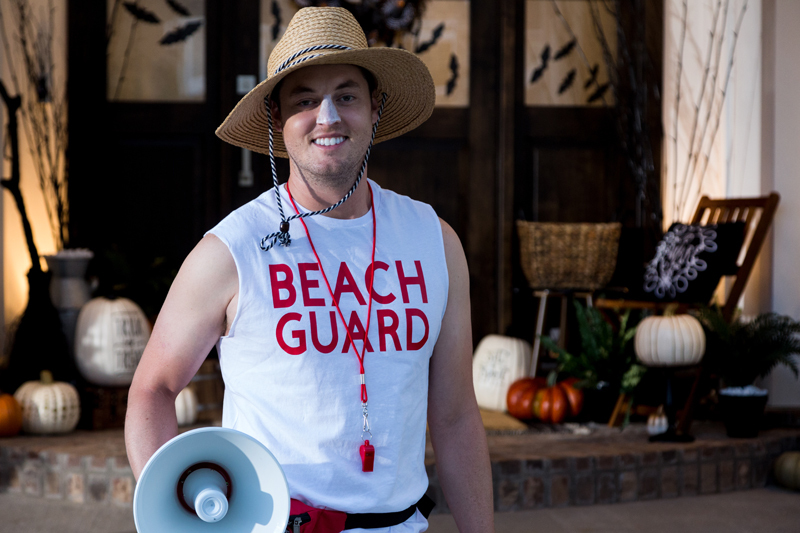 Take a look at the Beach Guard Costume. 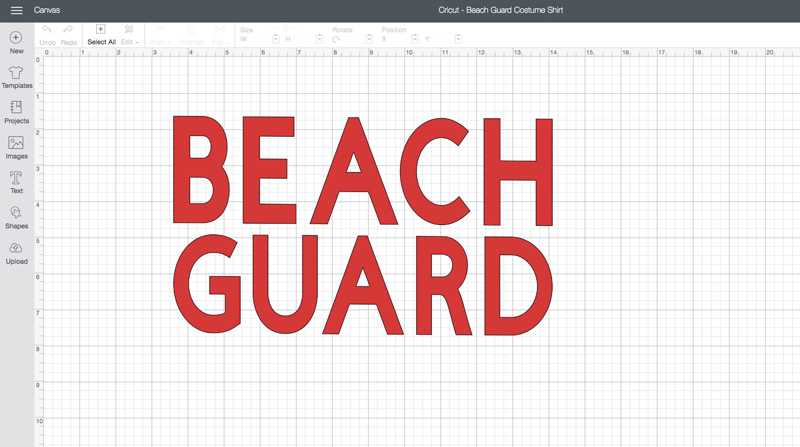 This project makes one “Beach Guard” iron-on decal for a tank top (once you open the project in Design Space®, you can edit the text if you would like). 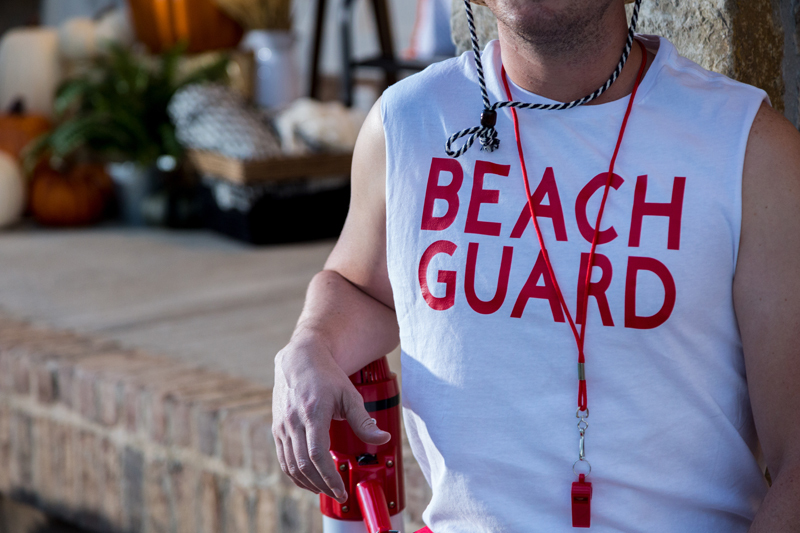 Pair the t-shirt with red swim trunks, a whistle, wide brim hat, sandals, and sunscreen to complete the look. The megaphone, if you have one or can manage to find one, really takes it to another level and amplifies the fun factor! To iron-on the decal, you will need Cricut Maker or Explore Air 2 to cut out the red Everyday Iron-on™. You will also need EasyPress 2 (12” x10”) and an EasyPress Mat. If you have questions related to using iron-on, please reference our helpful EasyPress video here. Once you open the project in Design Space, you can edit text as you wish. For those living in cooler temps, a white long-sleeve shirt would work as well. For more Halloween costume, décor and party ideas, check out the hundreds of projects in Design Space® or check out our other Halloween Craftspiration blogs.